Τοποθετημένο στην υπέροχη περιοχή της Κοινότητα Χενγκτσουν, το Kenting Light Blue Bed and Breakfast χαίρει μιας επιβλητικής θέσης στη παραλίες, οικογενειακή διασκέδαση, περιήγηση σε αξιοθέατα κεντρικό σημείο της Kenting. Μόνο 92 KM μακριά, αυτό το 1.5 αστέρων ξενοδοχείο είναι εύκολα προσβάσιμο από το αεροδρόμιο. Από τη βολική της τοποθεσία, η ιδιοκτησία προσφέρει εύκολη πρόσβαση σε κορυφαίους προορισμούς της πόλης. Με τις υψηλού επιπέδου υπηρεσίες και την μεγάλη ποικιλία ανέσεων, το Kenting Light Blue Bed and Breakfast δεσμεύεται ότι η διαμονή σας θα είναι όσο πιο άνετη γίνεται. Μια επιλογή από εξαιρετικές ανέσεις όπως τα δωρεάν WiFi σε όλα τα δωμάτια, ημερήσιος καθαρισμός, αυτόματο πλυντήριο, υπηρεσία ταξί, παντοπωλείο σας περιμένουν στο ξενοδοχείο. Ελάτε σε ένα από τα 2 φιλόξενα δωμάτια και ξεφύγετε από τα άγχη της ημέρας με μια ευρεία γκάμα ανέσεων, όπως επίπεδη τηλεόραση, επιπλέον μπάνιο, λευκά είδη, καθρέφτης, παντόφλες, που θα βρείτε σε ορισμένα από αυτά. Εξάλλου, το ξενοδοχείο διοργανώνει πολλά ψυχαγωγικά δρώμενα έτσι ώστε να έχετε πολλά πράγματα να κάνετε κατά τη διαμονή σας. Έξοχες υπηρεσίες και μια εξαιρετική τοποθεσία κάνουν το Kenting Light Blue Bed and Breakfast την ιδανική βάση από όπου θα απολαύσετε την παραμονή σας στη Kenting. The hotel was so cute and nice! Walking distance from the Bus station and other markets. The owner (Dennis) was really accommodating. Very nice place to stay! Maybe I can recommend next time for them to have free bikes at the hotel! Really nice to go aroung town using bikes! David was an exceptional host, he helped us organise a scooter and was always happy to assist us with any questions we had. We were lucky enough to get the 4th-floor private room that has a private balcony. There is a free washing machine on the roof. Pretty good place. Quite cheap, friendly owner who can help with things or give tips when needed. Great location, within 100 meter there is a scooter rental shop, a 7-11, a family mart and the bus stop to get to most places. Most restaurants are about a 10 min walk. Room is good. Clean enough, good shower, even tv with english movie channels. Fridge and water dispenser on the first floor. We were being sent to another hotel instead of the one that we booked. The hotel was not located on the main street which you need to walk quite some distance for access to eateries and convenient stores. There is a swimming pool and gym in the hotel but the hotel is quite old. The room was quite dusty , fridge was not being cleaned with beverage left by previous occupants, low in maintenance. Breakfast was not being provided as per description. There is not much to do in Hengchun. I recommend staying in Kenting instead. We had a great time - David is the perfect host. David (Owner) was a total rockstar. He help us with transportation, information on attractions and even called up the bus company to lodge a complaint on our behave. His B&B is super clean with good facilities and a living room with TV. Highly recommended! 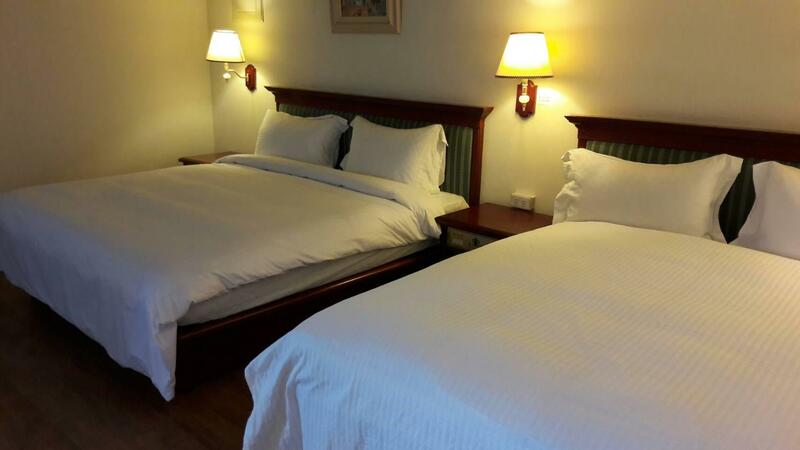 Highly recommended place to stay: very central (across Kenting express bus stop, 100m to 7-11 & Family Mart, electric scooter rental on the corner), large room, clean shared bathroom, hot & cold water available, towels provided. But most of all, David (who runs the place) is the best! He speaks English (pretty rare so far during our stay in Taiwan) and helps out with any questions you may have. He is a really great guy and made our stay at the Light Blue B&B perfect! We had really great time in Light Blue ! The room was like the annoucement (even better) and the host was so friendly and helpful : he did every thing to make our time more confortable. The place is very convenient, all that you need is at 5 min walk from the hôtel. If you want to visit around kenting and national park, you have to stay here ! I stayed at Light Blue for a couple nights and enjoyed myself. David, a staff member, was an amazing help and very friendly to talk to. He went over and above my expectations. The hostel is extremely clean and the ground floor is a fun place to hangout and meet other travellers. I would return to Light Blue when in Kentig area again. 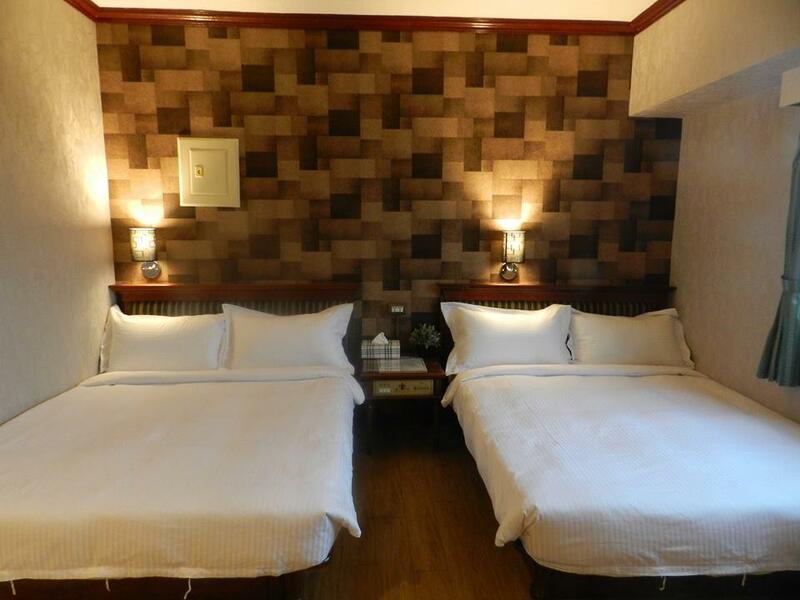 Comfortable guesthouse, clean with fast wifi and real beds ! Comfortbale beds, might i add ! David (the host) is super friendly and helpful, and he will share great recommendations on activities, sights and foods to experience during your stay in Kenting. He even brought me a sort of savoury pancake when he saw i came back earlier ! The only drawback is the location : if you are relying on public transportation to get around Kenting, you will have to walk about 10 minutes to the main bus station of Hengchun where you will find buses only to the mosy popular sight of the area, which can limit your ability to see what you came for. The owner David was very friendly and helpful. The hostel was very clean. 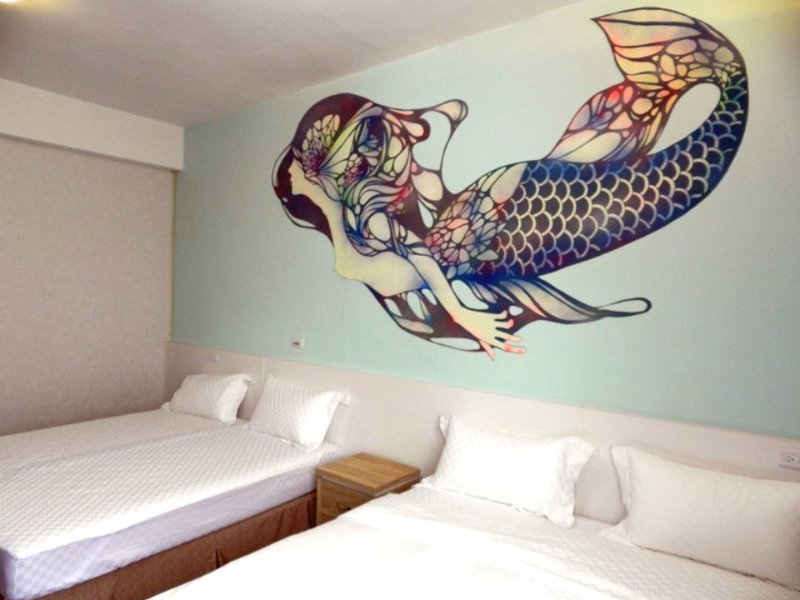 If you are looking for a hostel to stay in Heungchun, this hostel is right one for you. 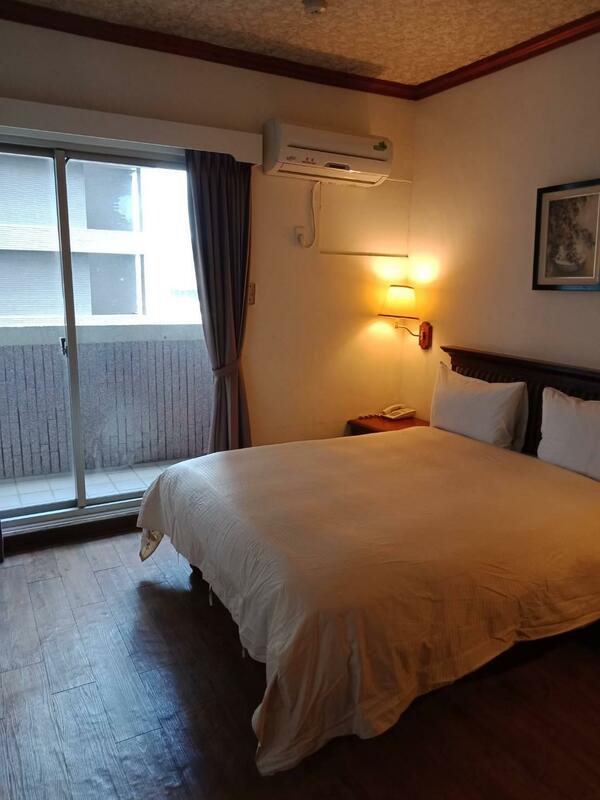 However, If you are planning to go to Kenting and spend most of your time in Kenting, I would recommend you to stay hostels in Kenting street or Nan wan beach. Even though Light blue hostel is located right across to the bus stop to Kenting, coming back to hostel after few drinks from kenting can be abit of hassle . 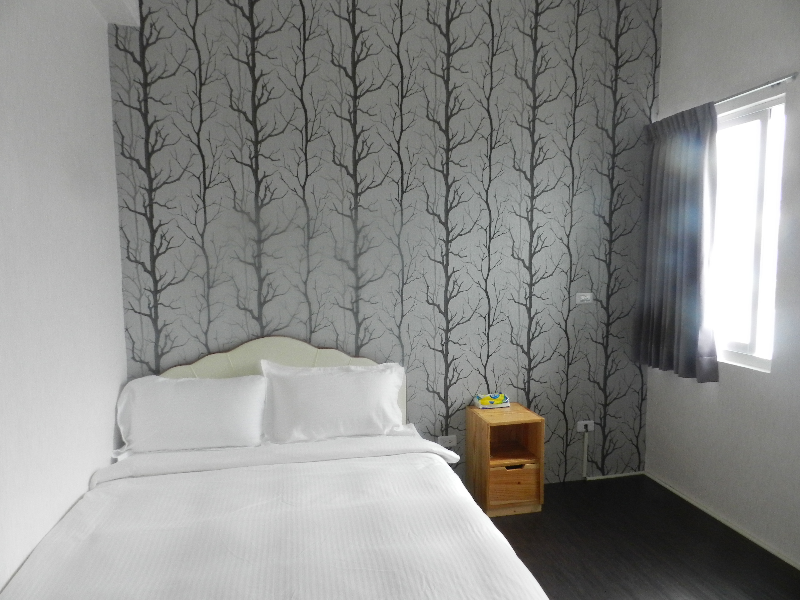 Overall, I am glad I have stayed one night at the Kenting light blue hostel. I am happy to come back when I visit Heungchun again. The staff, David is very nice & friendly, he patiently explain all the attractions to us, and also offer to bring us to nearby attractions. The room is very clean & comfortable. The location also quite convenient, 3 minutes walking distances to nearest bus stop. Reasonable price in Town, Kindly owner, Clean and comfortable room,. What else is you needed ? Host David was very proactively hospitable and helpful. Even bought me a scallion pancake on his way to hostel, knowing that I was hungry. True kindness. Σταθμός Λεωφορείων Hengchun στα 0.84 χλμ.